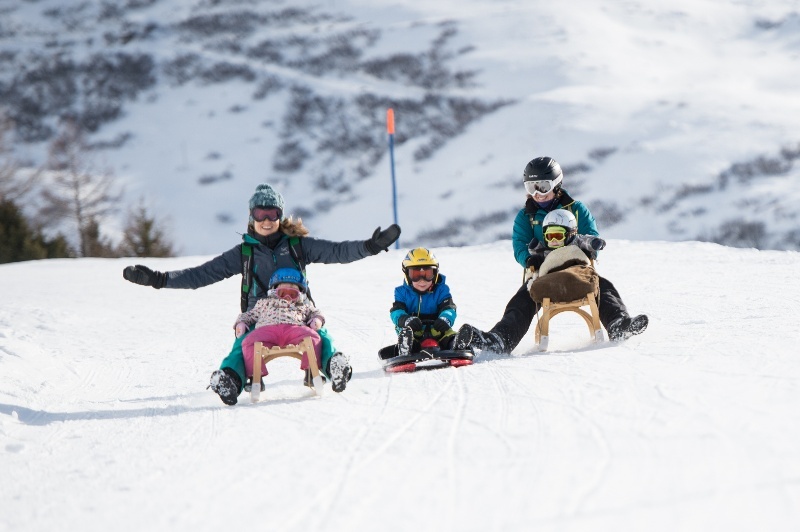 For young and old alike, sledding is the ideal way for non-skiers to experience the mountains in winter. Andermatt and St. Gotthard offer plenty of trails. You can take the train to your starting point or get there on foot. 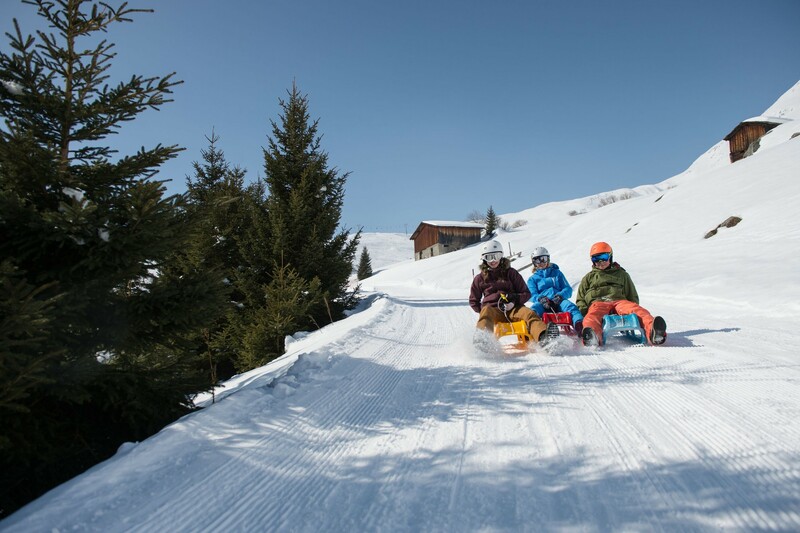 With its gentle incline, the sledding trail on the Oberalppassstrasse is ideal for the whole family. The Gütsch Express cable car and the Matterhorn Gotthard train will both get you to the starting point. 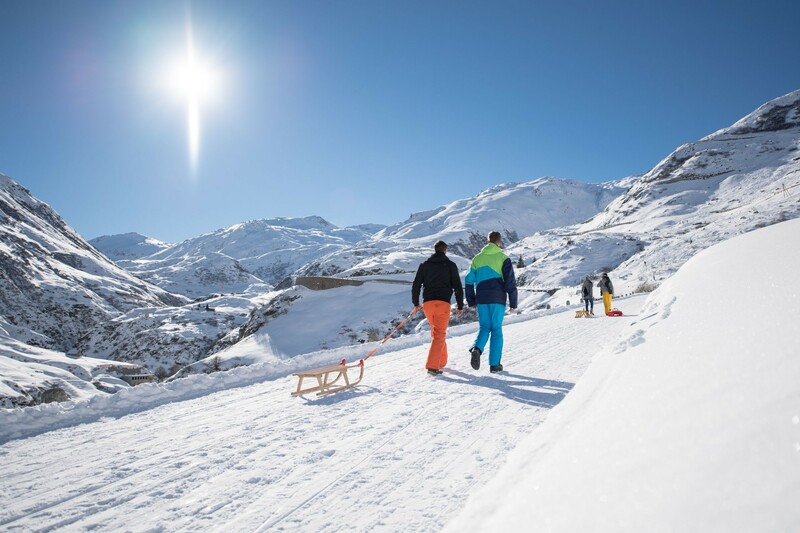 You can get half-day or full-day sledding passes, which give you unlimited use of the almost six kilometres of sledding trails from Nätschen to Andermatt and from Milez to Dieni. 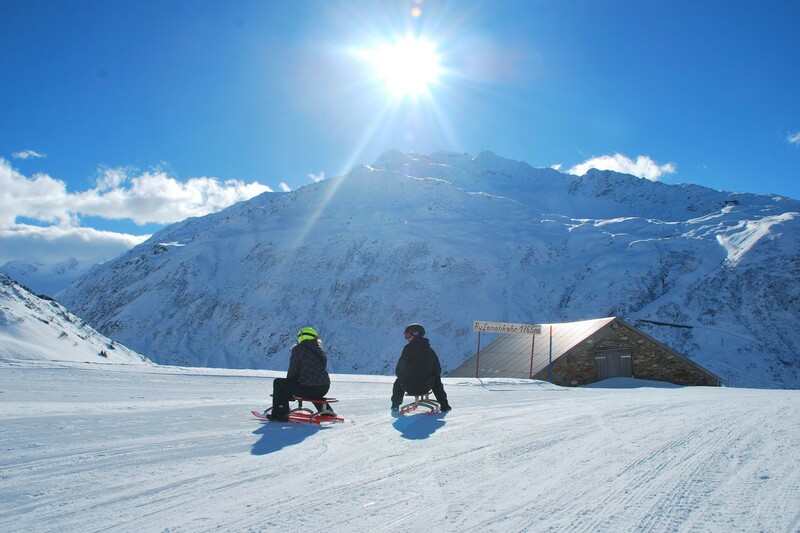 Sleds can be rented at the Nätschen valley station or from Meyer’s Sporthaus at Andermatt train station. For an extra special sledding experience, head for the section of the Furkapassstrasse from Tiefenbach to Realp. After a two-hour ascent on foot on the well-marked winter hiking trail, you'll be rewarded with a spectacular descent. Try taking the route from Realp to the Hotel Tiefenbach at sunset, when the landscape is bathed in a magical light. And once you've worked up an appetite from hiking, a fondue makes an ideal dinner. You can then sled over the prepared Passstrasse under the stars and back into the valley. If you don't want to haul your sled up to Tiefenbach, you can rent one at Hotel Tiefenbach for the descent. From Milez to Rueras/Dieni, a distance of just over three kilometres, sledders can ride on their own dedicated track separate from the ski run. The Dieni-Milez chairlift will bring you back to the start. Sleds can be rented from the Dieni valley station. The Andermatt-Sedrun tobogganing pass is valid on the Sedrun-Milez and Andermatt-Nätschen toboggan runs. 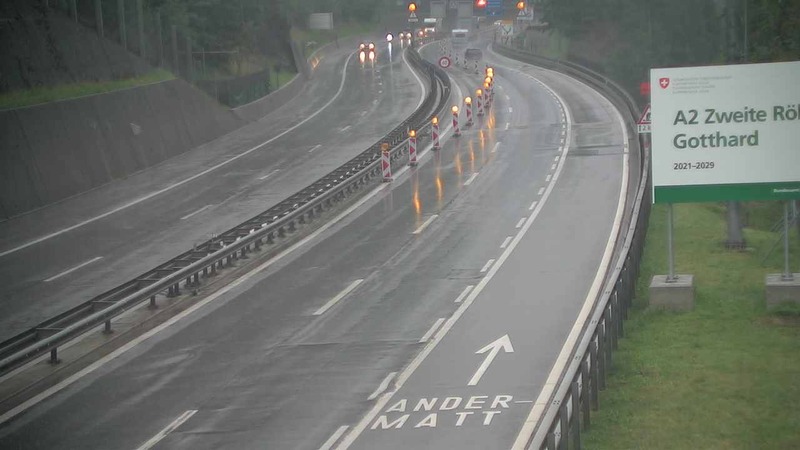 The MGBahn between Andermatt and Sedrun is included.